Educational Talent Search is a postsecondary outreach program designed to motivate middle and high school level students to stay in school while encouraging their pursuit of postsecondary education. This program provides academic, career, financial, and personal counseling to 600 eligible participants attending eight targeted schools in the DeKalb County Public School System. Educational Talent Search also serves interested secondary school dropouts in DeKalb County by referring them to local agencies that specialized in assisting them in re-entering the educational system to complete their education. The Educational Talent Search (ETS) outreach staff conducts a variety of grade specific academic advisement workshops including: early awareness educational activities for sixth, seventh, and eighth graders; course selection; college pre-enrollment academic admission requirements for high school level participants; academic advisement workshops for the families of participants; high school and college adjustment seminars; and standardized test administration procedures. In addition, the staff makes referrals to other academic or community based dropout prevention educational programs (i.e. Upward Bound, EOC, mentoring programs, tutorial services, and homework hotlines). The ETS program administers the Learning and Study Strategies Inventory (LASSI-HS) to provide information to its participants on how they learn and study, along with information on how they feel about learning and studying. The program’s staff uses this information in conjunction with the participant’s academic transcript and target school counselor to assess the student’s educational need for program services. The ETS outreach staff conducts career exploration, career counseling, and achievement assessment for all of its target school participants. Staff utilizes the Harrington-Oshea Career Decision-Making System (CDM) and the Georgia Career Information System (GCIS) in order to assist students in identifying and evaluating their career interests. 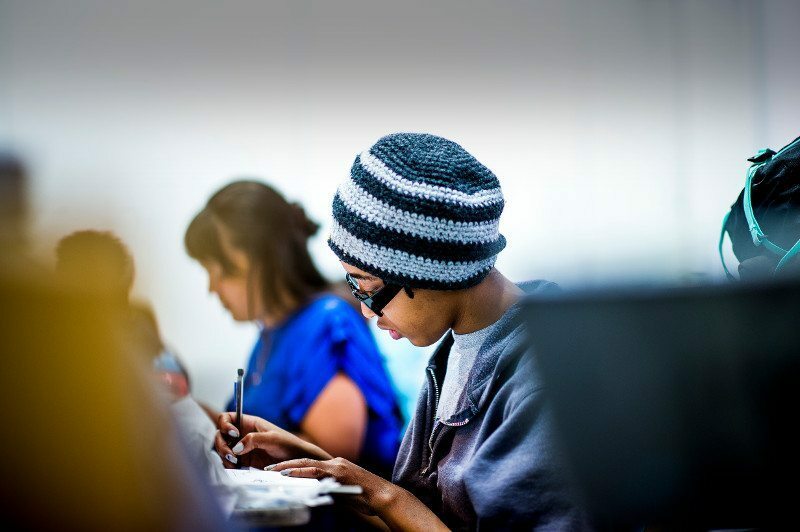 The ETS program provides college fee application waivers and assistance in preparing for standardized college entrance exams for its high school level participants. The ETS program provides target school participants with free standardized test preparation workshops at all of its target schools and provides test information presentation for interested parents. The ETS outreach staff provides a variety of information on post secondary education and college financial aid assistance. The staff also provides assistance to both target school participants and their parents in completing college admissions and financial aid applications. This assistance is designed to measurable increase the number of ETS participants who apply for college financial aid and successfully enroll in a program of post-secondary education. The ETS program provides field trips for middle and high school participants, attending ETS target schools, in order to provide them with exposure to college campuses, cultural sites and for career investigations at local industries and businesses. ETS field trips are designed to motivate participants to stay in school, graduate, and then enroll in postsecondary education by showing the benefits of college campus life and increasing their awareness of the potential of higher education in successfully enriching their future lives. The ETS outreach staff conducts any type of academic, financial, or career counseling for which its participants may express or demonstrate a need in order to increase their chances of staying in school and successfully enrolling in postsecondary education. In addition, the staff will make referrals to other supportive and social services type programs (i.e. community, government, Upward Bound, EOC, mentoring programs, tutorial services, and homework hotlines).